Liver cancer can be difficult to treat, but does cannabis help? Here’s how patients are using cannabis oil to fight tumors. 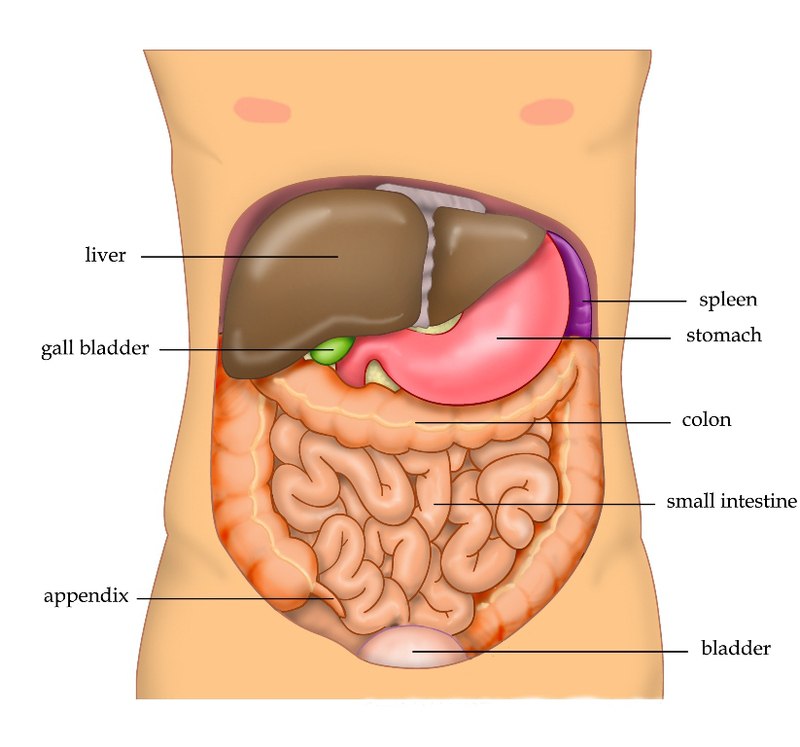 The liver is the body’s primary detoxification organ. The filtering factory for all of our blood, it is particularly susceptible to certain kinds of cancers. Fortunately, recent research has found that cannabinoid therapy may halt the progression of the disease. While there aren’t human trials to put this theory to the test, anecdotal reports from patients show compelling results. Here’s how patients treat liver cancer with cannabis. Liver cancer is one of the most common types of cancer. Alcohol abuse, hepatitis infections, and birth defects can all contribute to the development of this disease. While both men and women can develop liver cancer, it most commonly affects men. Unfortunately, liver cancer is often deadly. 15% of those with the disease have a 5-year survival rate. Current treatment options also leave much to be desired. Chemotherapy, radiation, liver transplant, and opioid pain management are the common lines of action. In 2015, Chinese researchers discovered that cannabinoids effectively halted Hepatocellular carcinoma (HCC) cells in a cell line study. HCC is the most common type of liver cancer. So common that it makes up over 75% of all liver cancer cases. With a percentage this high, possible success with cannabis treatments can have a huge therapeutic impact. The research used synthetic cannabinoid WIN55, 212-2, which is a man-made version of psychoactive THC. The team found that the cannabinoid arrested the targeted cancer cells, meaning that they had stopped dividing. This means that the cancer cells stopped growing. While this study is specific to liver cancer, the anti-proliferative effects of cannabis are evidenced in additional studies. A 2014 review found that compounds in the herb effectively reduced proliferation in breast, bone, and brain cancers. These findings are quite miraculous. Cancer is caused when cells continue to grow and divide until they interfere with important bodily systems. Halting proliferation is one of the primary reasons cannabis is thought to hold potent, anti-tumor properties. If cells cannot grow and divide, then cancer cells are frozen in place. This means that while the condition may still be present in some, cannabinoids seem to prevent cancer from getting worse. A metastatic cancer is one that spreads from its original location in the body and sets up camp somewhere else. The liver is actually very vulnerable to metastatic cancers. Metastatic cancer cells often use the blood as a highway to their next location. Because the liver’s job is to filter all of your blood as it circulates, it is especially prone to picking up unwanted cancer cells traveling in the bloodstream. A review published in January of 2016 explains that “cannabinoids have been shown to prevent the formation of distant tumor masses in animal models.” While this information may not be very helpful to those with cancers that have already spread to the liver, it shows that cannabinoid treatments early on may be useful to prevent cancers from getting much worse. In order for tumors to grow, they need their own blood supply. To tap into this vital resource, they create their own blood vessels. Turns out, cannabinoids may put a stop to this. Research published over the last decade has found that both psychoactive THC and non-psychoactive CBD prevent tumors from developing blood vessels. This means that they are deprived of the vital oxygen that they need to grow and produce energy. Without the ability to grow blood vessels, tumors essentially suffocate and starve. Perhaps the most fascinating way cannabinoids fight cancer is through a process known as programmed cell death. Basically, when cells go awry, your body has built-in mechanisms to kill these cells off. Damaged and dysfunctional cells receive a signal that tells them to commit suicide or auto-digest themselves. Cancer cells, however, don’t respond to these signals. They are damaged cells that just keep growing and dividing until they create a tumor mass. This is where cannabis comes in. Laboratory and animal models have shown that both THC and CBD trigger programmed cell death in tumor cells. This means that the cells begin to commit suicide and auto-digest themselves, actually killing cancer cells. Unfortunately, we are still awaiting human trials to test how well this process works in humans. However, the clinical models so far have been positive. We also don’t know exactly whether or not these mechanisms work in all forms of cancer. We can only hope the scientific community will give us some firm answers sometime in the near future. Sorry to say, but smoking a joint is not the way patients are using cannabis to treat liver cancer. Rather, patients who have success with the herb use a highly concentrated medical cannabis oil. This oil is a whole-plant extraction that separates all cannabis resin from plant material. To learn how it’s made, take a look at our article here. Generally, patients work up to at least a full gram of cannabis oil each day, in 90-day cycles. However, the only way to determine the best course of treatment for your specific condition is to work closely with your doctor. Always consult your doctor before making changes to your treatment plan. There are no guarantees with cannabis, and what works for some people might not work for others. A medical professional will be able to advise you on the best course of action. In 2009, Mike Cutler of the UK had a liver transplant. The procedure was an attempt to combat a bad case of liver cancer, but something went horribly wrong. Nearly three years later, cancer came back and attacked his new organ. There was nothing his doctors could do. In his early 60s, Cutler was sent home from the hospital with ample amounts of morphine and a death sentence. After being confined to bed rest and ill from ample doses of morphine, Cutler knew that there had to be another way. Armed with a laptop, he took to the almighty internet. He soon stumbled upon Rick Simpson’s story. Within three days, I’d stopped taking the morphine. My wife got me to go to the doctor’s, and he said “my God, you look well.” and he said “what’s happening?” and I said, “well, I’ve stopped taking the morphine and I’m taking cannabis oil.” And he was more conserned that I wasn’t having serious withdrawl symptoms from stopping taking the morphine than he was about the cannabis oil. Suddenly there was this picture in front of me on the screen which was idential to the one next to it that I spat up. And to my amazment it was a dead cancer cell. When the results of Cutler’s biopsy came back, he asked the doctors about his cancer. Their reply? “What cancer?”. After two months of cannabis oil treatment, Cutler’s cancer couldn’t be found. Unfortunately, Culter passed away several months after being told that his cancer had cleared. Whether or not his death was caused by his cancer is uncertain. However, there’s no doubt that cannabis oil prolonged Mike Cutler’s life and improved his day to day symptoms while he was still on earth. In 2012 Ed was diagnosed with stage 4 liver cancer. His tumor spanned 7 inches and had spread to his lymph nodes. Armed with morphine, doctors told him that there was nothing to do other than to call hospice. He was given two weeks to two months to live. Then, two friends approached him with cannabis oil. He decided to give it a try. Four years later, he’s still going strong. His tumor has continued to shrink, though he is not yet fully in the clear. Ed took a very aggressive approach to treating his liver cancer. He worked up to 2 grams of cannabis oil divided between four daily doses. Yet, he also worked heavily with a naturopathic doctor and incorporated other alternative treatments, such as intravenous vitamin C and regular sauna and hot tub use, eats a very strict diet high in fresh fruits and vegetables, and takes over 20 different supplements daily. You can find more information on his unique treatment plan here. I would say that the Phoenix Tears, which are actually cannabis oil concentrate, a whole plant reduction process to pull the oils out of it […] This isn’t the stuff we used to get high on in college and high school. This is serious chemotherapy, it just happens to be herbal, it happens to be organic. Hopfully organic, that’s a new and important step in this protocol. The medicine can be modeled to your specific cancer, [to the] specific symptoms you’re trying to deal with.However, you need to do it under a doctor’s supervision. I recommend a cancer patient immediately get a good naturopathic doctor to go along with your regular primary physician. Ed also does raw cannabis juicing, mixing fan leaves and fresh buds with a daily green juice. He also has learned that “cancer is smart” and argues that it is important to take brakes from cannabis therapy or switch your varieties of cannabis oil for continuous effective treatment. Cannabis holds a lot of potential as an anti-cancer agent. Laboratory and animal models have shown tremendous promise, yet current trials in humans are sorely lacking. Different types of cancer may also respond differently to cannabinoid treatment, making it difficult to determine just what kind of cannabis holds the most potential as a liver cancer treatment. Regardless of the lack of mainstream human research, patients are turning to cannabis treatment with success. Regardless of the lack of mainstream human research, patients are turning to cannabis treatment with success. Of course, what works for one person may not work for another. So, always consult your care team before experimenting with cannabis treatments. As an inevitable disclaimer, the research presented here are meant for information purposes only. Only a medical professional can help you develop a proper treatment plan. Have you had success with cannabis for liver cancer? Share your story with us on social media or in the comments below. We’d love to hear from you!